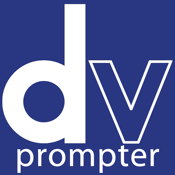 Teleprompters have a wide range of purposes from scripts and presentations to video recordings and more. So, whether you need one for personal or professional reasons, we have you covered. 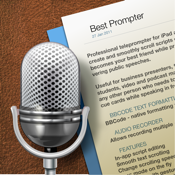 Our list of the best teleprompter apps for the iPhone brings the latest features, customizations and tools needed to make the most out of any teleprompter experience that you may have. 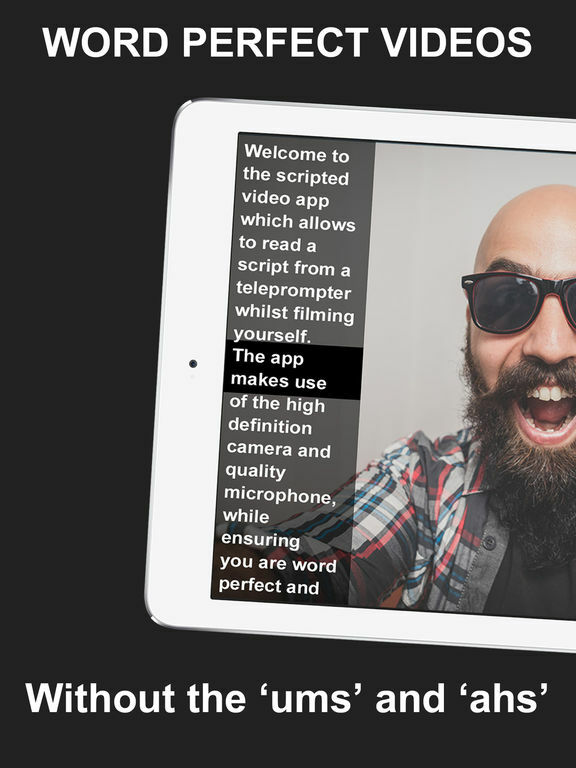 This free app will turn your iPhone or iPad into a teleprompter as you create and edit new scripts using a script composer. You can pick out a background color of your choice to make sure the words are popping just the way you want. 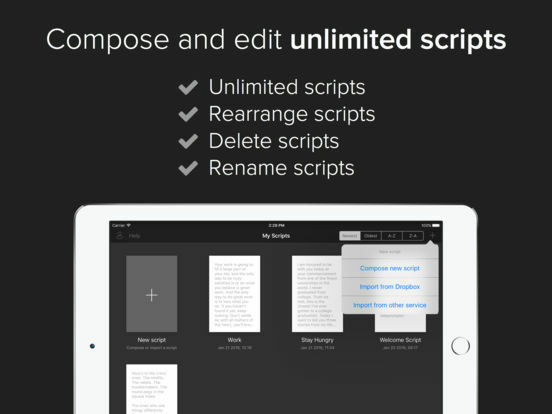 Scripts can be shared with others from within the app and sorted using different parameters. 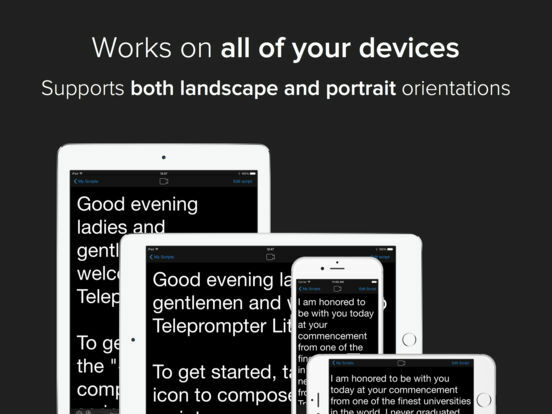 This is a universal app, optimized for teleprompting in both landscape and portrait mode. Here is a feature-heavy free lite app which comes with many awesome features, and gives you the option to try before you buy the pro version (in-app purchase of $10.99) The main feature here is the VoiceTrack scrolling which will follow your voice as you speak and adjusts its scroll pace accordingly. 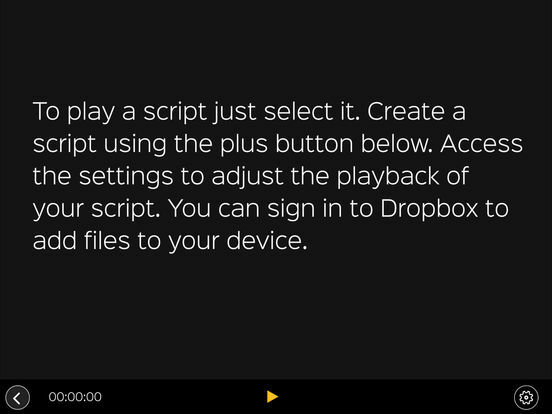 It even lets you go off script and will wait until you gently return to your story. 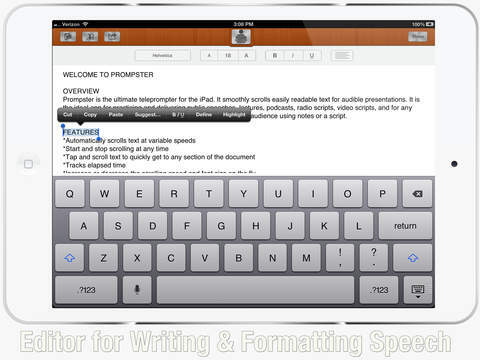 Users can record audio up to 30 minutes and 5000 words, and export it. Record up to 30 minutes of audio and 5000 words. 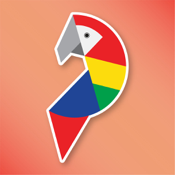 Parrot Teleprompter is a lightweight yet sophisticated app which will allow you to type and edit your scripts directly within the app, or import from DropBox. 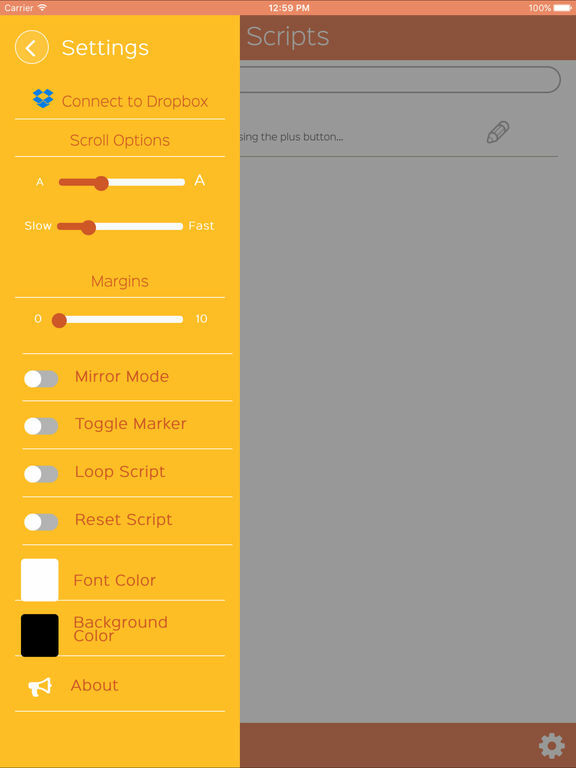 Users can load up unlimited scripts in the app, and scroll at their own pace in landscape and mirrored text modes, adjusting the size of their text as well as the foreground and background colors for the best contrast view. 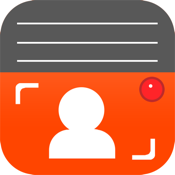 This cool app lets you create HD video recordings of yourself using the scripts you import. 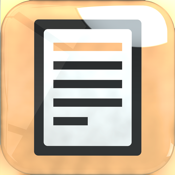 Various text formats are supported including .doc, .docx, .txt, and .rtf formats. 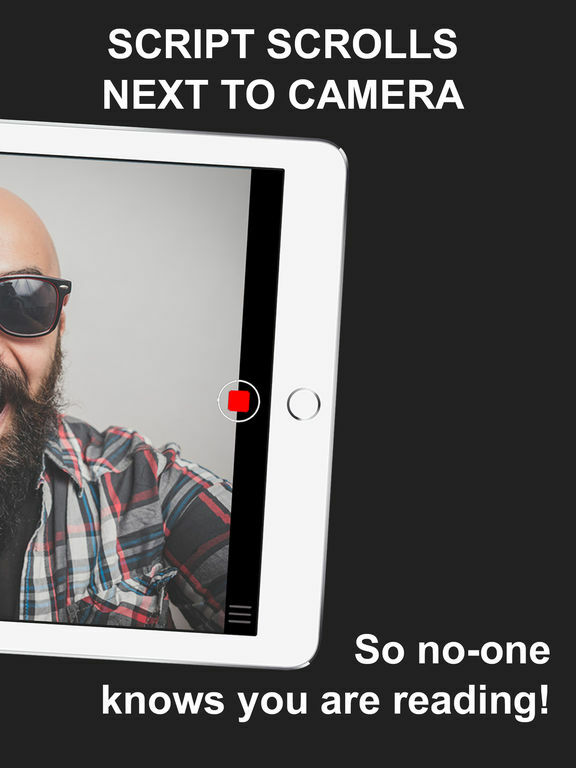 Recordings can be done in landscape as well as portrait mode in both the iPhone as well as iPad, wherein scripts are prompted to you beside the viewfinder images. Users can import a number of scripts but only up to a limited length. This length limit can be removed via a one-time in-app purchase of $11.99. 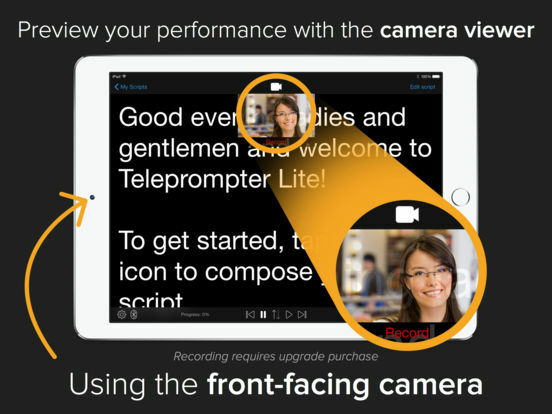 Create professional-looking videos using this app, which lets you maintain the closest thing to eye contact as possible. This app's standout feature is that it lets users utilize both the front and back cameras while maintaining the tap to focus feature. 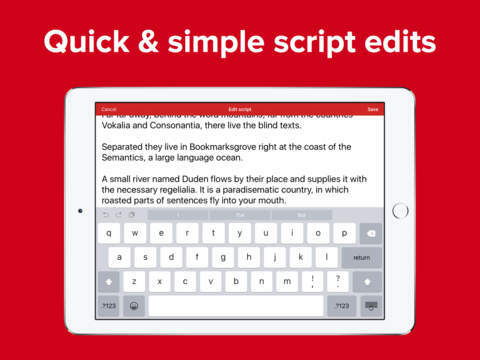 The app has many view options including full screen mode, adjustable text window, and the ability to create, edit, save, and share your scripts anytime, anywhere. This is a basic app with no frills. 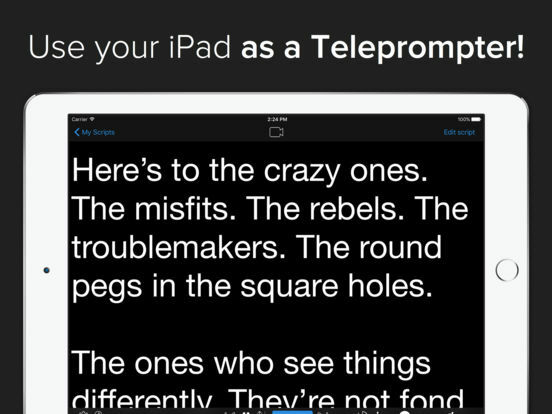 Create and edit your own text to play as you use your iPhone or iPad a teleprompter. 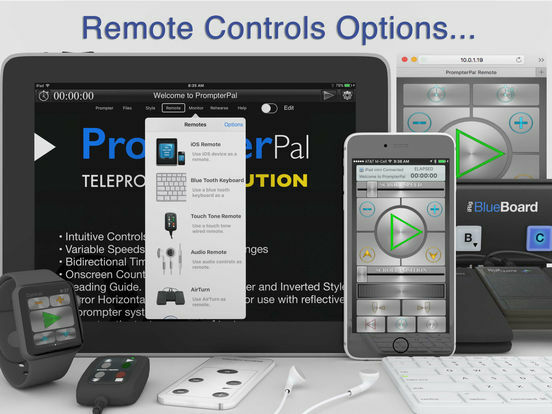 This app is compatible with a variety of wired, wireless and Bluetooth remote controllers. 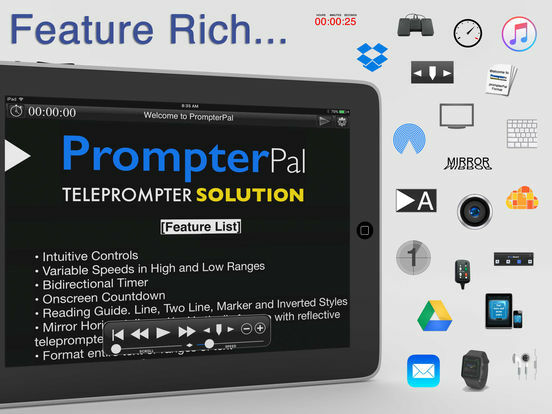 The app is compatible with Datavideo TP-100, 200, 300, 500, and 600 Teleprompters where you can mount your iOS device on a rig. Any equipment required can be purchased by Datavideo resellers and can be purchased from within the app. 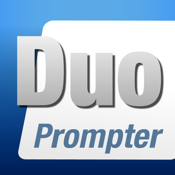 Polish up your public speaking skills with Prompster Pro, practicing your speeches, sermons, or any other type of audience communication using notes. Create talking head videos in which you can view the words you need to say on the screen as you record. 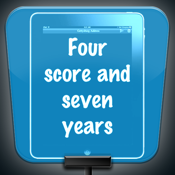 Record voiceovers over PowerPoint or Keynote presentations. Create new podcasts with perfect timing as you start and pause scrolling whenever you like to go off on tangents. 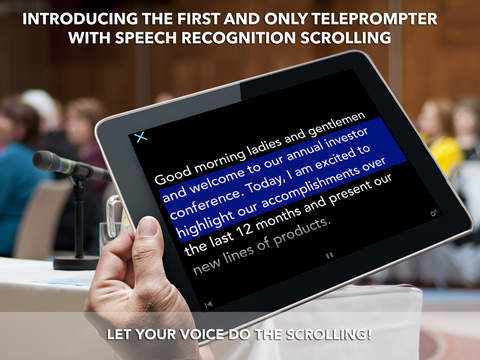 As with many other apps, this one also comes full featured to customize your teleprompting experience. 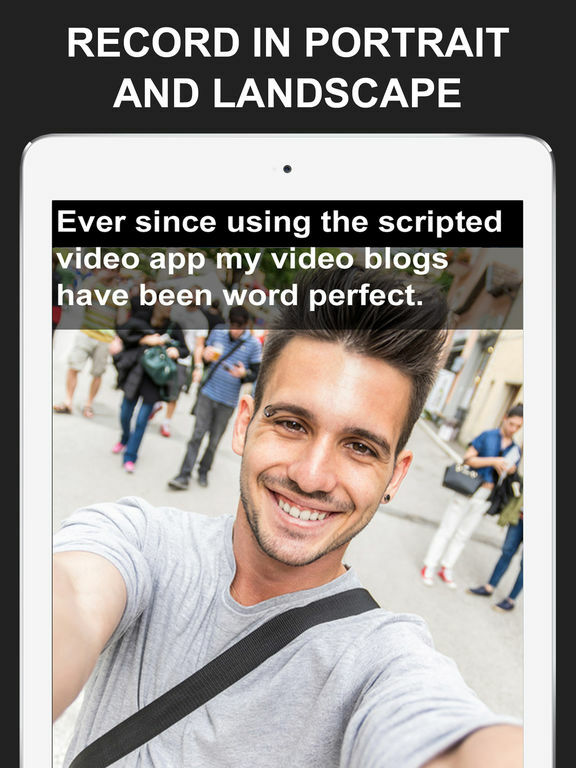 This free app, designed specifically for the iPad, comes packed with features to help users create cool videos whether it's for practicing a presentation or filming a commercial. Users can view the text in various fonts, font sizes, and colors. The text layout is highly customizable right down to line height, and the display ensures minimal eye movement. 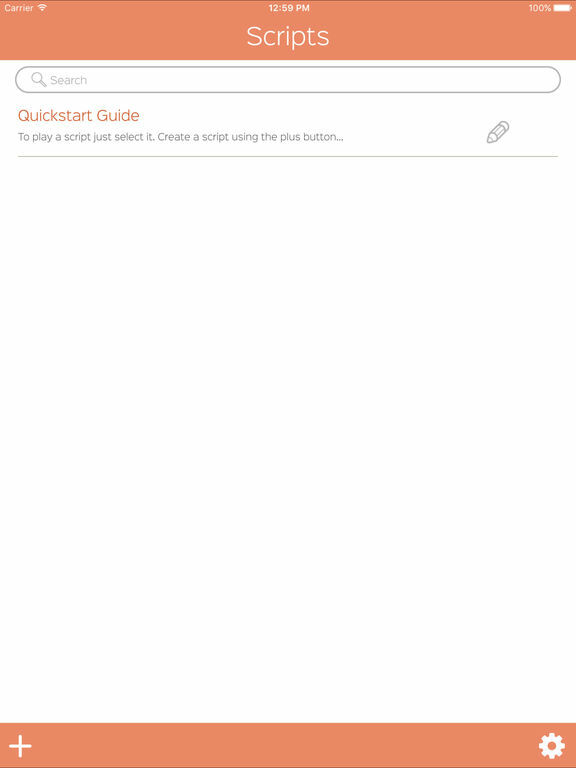 Users can also embed cue points within the text. 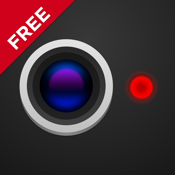 This is a fantastic app particularly for audio recording. 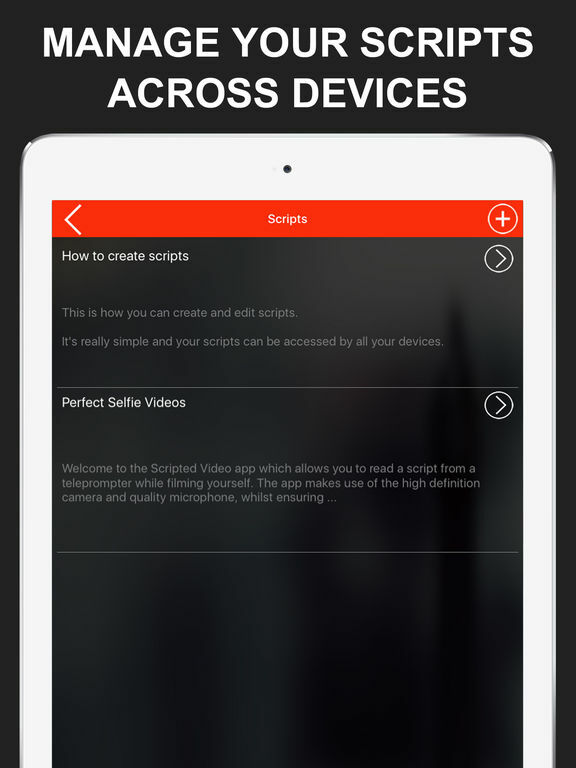 It lets users record more than one audio track for one script. Scripts can be imported via iTunes file sharing in various formats, or they can simply be copy-pasted from other apps including Web, Email, and more. Markers can be applied to the script as needed. Eslapsed and estimated time are displayed to ensure you stay within the limits. 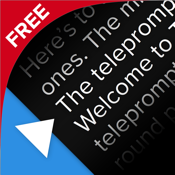 This app boasts a highly-configurable interface that can not only control font size, type, and color, but also the head and tail indent, line spacing, and text style. 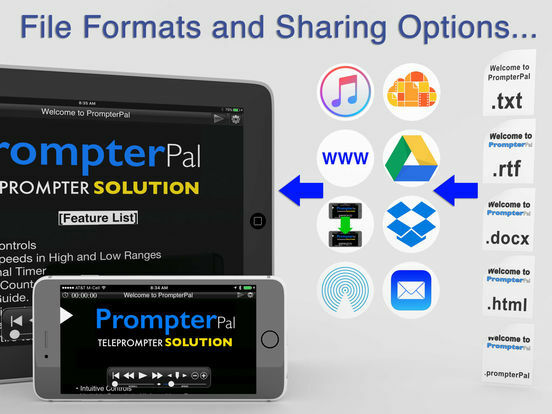 It further allows the import and export of files in various text-supported formats. 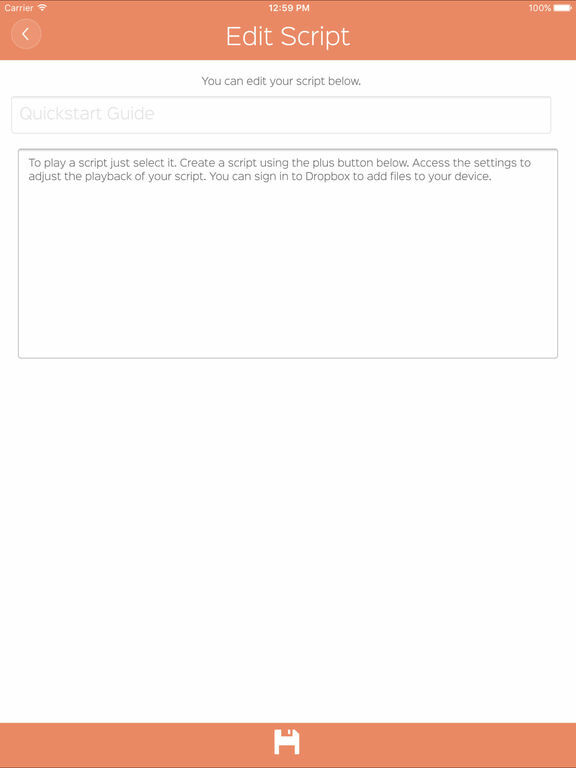 There are two scroll speeds available as well as countdown styles to get you started on the right foot. There is a timer both counting down the time remaining as well as elapsed time. 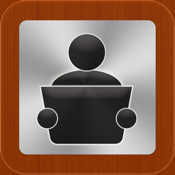 This app also comes with a plethora of file sharing and remote options to give you full control of your performance.